Rosebank has a standard Wedding Contract which sets out all the arrangements for the Wedding so that our staff can execute all the requirements for a Wedding according to the couple’s requirements and so that the wedding couple also clearly understands what is expected in terms of payments, etc. The Wedding contract should be finalised on payment of the deposit but final arrangements like seating and menus can still be done close to the actual event. This website just provide some of the general items. A minimum deposit of $500 is required to secure a wedding date and for larger weddings this may be up to 20% of the estimated bill.We no longer accept provisional bookings. All payments must be finalised 72 hours before the event. Final numbers also to be confirmed 3 days before the event and variations in numbers of more than 20% may incur penalties. If a cancellation occurs the deposit is not refundable unless the function date is re-booked or an alternative is found. Rosebank is not open on public holidays. Rosebank reserves the right to update and change the Venue Hire charges and Menu charges at any time, but this will not affect signed contracts. All facility bookings are subject to Management approval. A minimum spend may apply to Weddings in Peak Season. 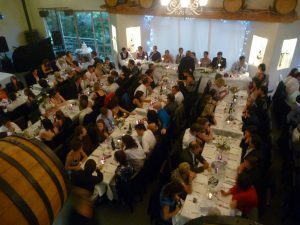 No weddings done during the period 25 November to Christmas due to the huge demand for Corporate functions and Christmas decor in the rooms.